Are you a busy person with big plans and places to be? If you're trying to become more productive, you can cut a few corners by dry cleaning your clothes. Learn some ways in which dropping your laundry off at the dry cleaners helps you save time and manage life better. You may think that dry cleaning your clothes is a luxury, or should be reserved only for nicer items. This is far from the case, especially for busy parents or professionals. Doing laundry is a simple enough task, but it is time-consuming. A lot more goes into it than you might realize and your clothes can suffer if not properly cared for. In the long run, opting for dry cleaning can save you a lot of time, money, and headache. It can also make you more productive and help your days run smoother. 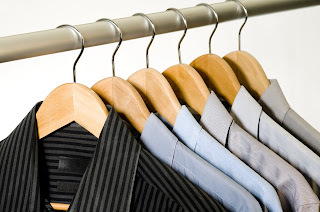 Keep reading for 6 ways using a professional dry cleaner will simplify your life! Many dry cleaners offer pick-up and delivery for little to no cost. This eliminates going out of your way to drop off clothes. It also relieves you of the annoyance of keeping up with the ticket and when clothes are ready. Having clothes picked up and delivered means your clothes arrive back to your home and all you have to do is hang them. No more loading and unloading clothes. You also won't have to worry about an extra trip to the cleaners to drop off your favorite shirt to have it ready for the weekend. All you've got to do is put the shirt with the clothes you want to be picked up and it's as good as done! We're not saying you don't know how to wash clothes, it's simply the fact that a washing machine is not gentle on them. Even set on a handwash setting, a washer will cause clothes to lose shape and even vibrancy. No matter your occupation, you can understand the need for the perfect-fitting clothes. It might be a shirt, blouse, dress, pants or anything else--but when you find the right fit, they are PERFECT. This process usually takes time, effort, and waiting for the seamstress if needed. If you're going to spend that much time acquiring the best clothes, why not take care of them with the most delicate procedure. Dry cleaners will help your clothes last longer which means less time and money spent on replacing them. Another huge dry cleaner convenience is the fact that a professional service will be able to handle bulky items. Comforters, curtains and drapes, and tablecloths are just a few things dry cleaners can take care of for you. Some of these items are bulky, some are just very delicate. Either way, it probably isn't a great idea to wash them in a household machine and risk burning it up or destroying grandma's handmade quilt. It also saves you a trip to the laundromat, waiting to on a wash cycle, and the hopes their machines don't ruin whatever you're washing. Dry cleaning professionals have the right machines to handle these, ensure they get clean, and that tablecloth will come back in pristine condition no matter what was spilled on it! Stubborn stains or odors that keep returning might be the bane of existence for anyone doing laundry at home. Depending on the importance of the garment and how often it's worn, you may end up spending what amounts to hours at a time on removing these problems. Chances are, you'll probably make several trips the store to find the right deodorizer or stain fighter and spend lots of time soaking in hopes for easy removal. You also will probably spend a good bit of money on the best solutions you can find, call your mom, and try everything she suggests. After the trips to the store, talks with mom, soaking, washing, and drying, you think this smell or stain is gone. Only to wear it and realize it was only minorly improved, if at all. Productive people don't have time to keep doing the same thing over expecting different results. Along with stain removal, wearing a favorite white shirt repeatedly can slowly cause it to yellow from the heat of your body and the reaction of your deodorant and sweat. You may not realize it immediately, but it will happen if not properly cared for. This process can be prevented by allowing a professional to clean your favorite white and light-colored clothes. The process gets rid of any residue on clothes and ensures your clothes stay white and bright for as long as you have it. Most dry cleaners have someone on staff that can make minor repairs to seams as well as replacing buttons that may be missing. This is worth mentioning because you know all too well what a pain it is to get dressed only to notice a missing button or rip in the seam. Most clothes will develop wear patterns over time--the integrity of the thread for the hems or seams as well as the material on the item. It happens naturally over the lifespan of a well-loved item but delicate care and prolongs this problem from occurring. It also might be worth asking if the dry cleaners you use keeps a seamstress on staff. If they do, you have a one-stop shop for everything dealing with the care of your clothes. If they don't, they know the best person in town to give you the best alterations. If there is any question about changing from home washing to dry cleaning your clothes, your answer should be obvious. Allowing a professional to clean your garments and household items will save you time you didn't even know you were wasting. The fact is, a professional dry cleaning service will also offer other services including moth-proofing (that doesn't stink,) preservation and restoration of fine items, and even garment storage. Picking up your clean clothes or having them delivered is perfect because they are ready to wear at that point. There is no time spent folding or ironing. No matter how you look at it, dry cleaners offer major benefits. If you have questions about what else we can do, check out our website!